Chandigarh Education Department Recruitment 2019 – 196 TGT Vacancies Samagra Shiksha, UT, Chandigarh (Chandigarh Education Department) has recently given notification of 196 Trained Graduate Teachers (TGTs) Vacancies on the contract basis. You can apply online for the Samagra Shiksha Chandigarh Recruitment 2019 on or before 27.03.2019. 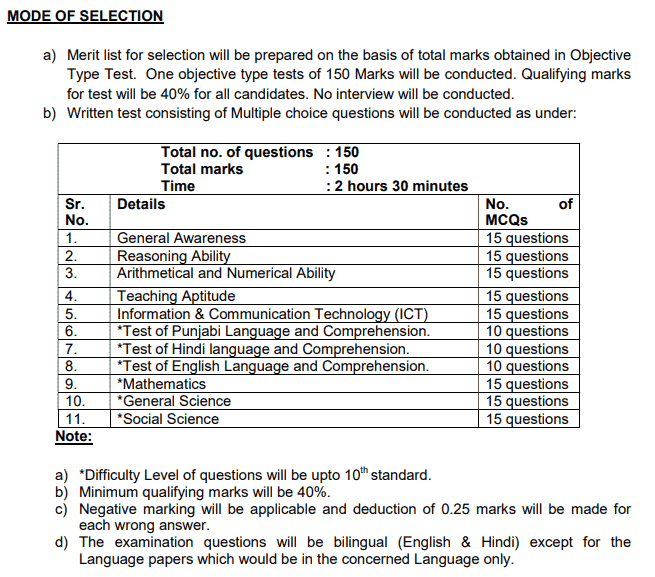 Chandigarh Education Department Recruitment 2019-20 latest notification is out. 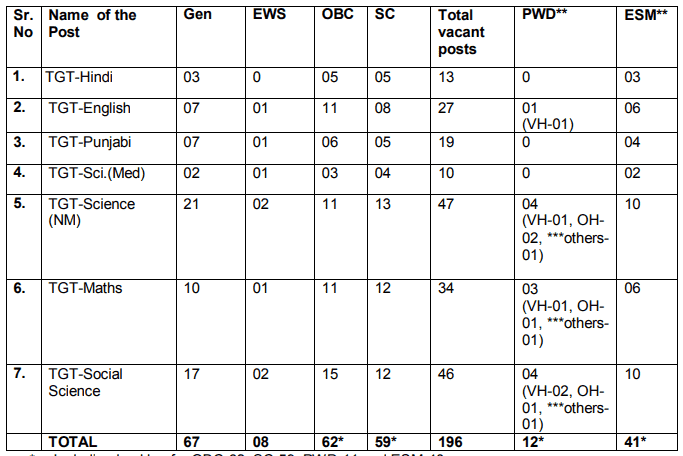 As per the Notification, there are 196 Trained Graduate Teachers (TGTs) Vacancies. The educational qualification is the Graduation degree in the relevant subject. The age limit is 21 to 37 years. If you are looking for Jobs in SSA Chandigarh then this article is going to be very helpful for you. Name of Department: Samagra Shiksha (Chandigarh Education Department). 04-Years integrated B.A B.Ed/ B.Sc. B.Ed with minimum 50% marks and Pass in TET conducted by CBSE New Delhi applicable for the teachers teaching class 01 to 05 in accordance with the guidelines framed by the NCTE. The age limit for SSA Chandigarh TGT Job is 21 to 37 years as on 01.01.2019. Rs. 45756/- per month fixed remuneration. The merit list will be made on the basis of written test. One objective type test of 150 marks will be conducted. The qualifying marks for the same will be 40% for all the applicants. Time of Examination: 02 Hours and 30 Minutes. Rs. 800/- (Rs. 400 in case of SC) can be deposited online through the official website up to 27.03.2019 up to 04.00 PM. Persons with disability are exempted from the application fees. The process to apply for the TGT Vacancy is online. You can visit the website at www.recruit.nitttrchd.ac.in or www.chdeducation.gov.in on or before the due date. The Chandigarh Education Department is going to upload the SSA Chandigarh TGT Admit Card very soon on their official website. You may check here for more information. After the registration process then examination dates will be announced by the department. Once you have completed your examination process thereafter you can check your SSA Chandigarh TGT Teacher Result after its announcement. We are updating this page on the regular basis. Keep visiting here for more information. Chandigarh JBT Teacher Recruitment 2018: Samagra Shiksha, UT, Chandigarh (Chandigarh Education Department) has recently given a notification of 418 Junior Basic Teacher (JBTs) Vacancies on the contract basis. You can apply online for the SSA Chandigarh Recruitment 2018 on or before 01.11.2018. Chandigarh Education Department Recruitment 2018-19 latest notification is out. As per the Notification, there are 418 Junior Basic Teacher (JBTs) Vacancies. The educational qualification is the Graduation degree. The age limit is 21 to 37 years. If you are looking for Jobs in SSA Chandigarh then this article is going to be very helpful for you. Graduation with minimum 50% marks and B.Ed. Pass in TET conducted by CBSE New Delhi applicable for the teachers teaching class 01 to 05 in accordance with the guidelines framed by the NCTE. The age limit for SSA Chandigarh Recruitment is 21 to 37 years as on 01.01.2018. Rs. 39422/- per month fixed remuneration. Rs. 800/- (Rs. 400 in case of SC) can be deposited online through the official website up to 29.10.2018 up to 04.00 PM. Persons with disability are exempted from the application fees. The process to apply for the Chandigarh Education Department Recruitment of JBT Teachers is online. You can visit the website at www.recruit.nitttrchd.ac.in or www.chdeducation.gov.in on or before the due date. The Chandigarh Education Department is going to upload the SSA Chandigarh JBT Admit Card very soon on their official website. You may check here for more information. After the registration process then examination dates will be announced by the department. Once you have completed your examination process thereafter you can check your SSA Chandigarh JBT Teacher Result after its announcement. We are updating this page on the regular basis. Keep visiting here for more information.